Ever find yourself torn between which wine to choose from our wine list? Perhaps you’d like to try something new but find yourself always going for an old favourite? Our wine flights are the perfect solution. Our wines are already grouped by style on our list so all you have to do is decide which style of wine appeals – perhaps aromatic and herbaceous whites or juicy, fruity, warmer reds – and we’ll bring you a 50ml glass of each wine in that style section. 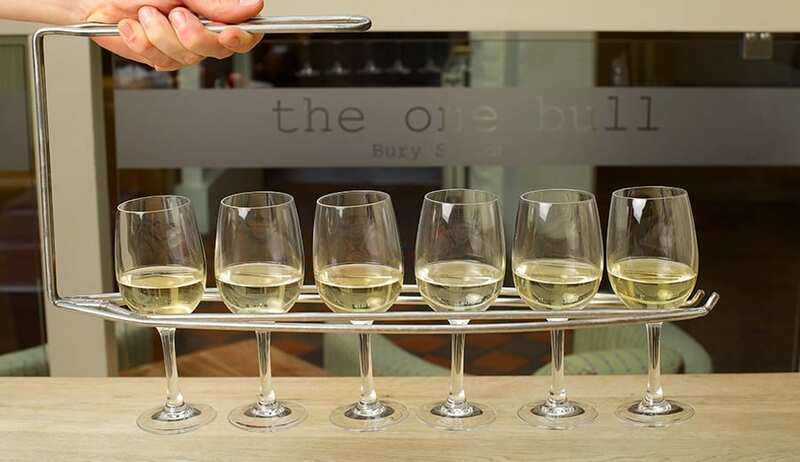 It’s great fun and it might just help you to find a new favourite… Our wine flights have been available for some time at The One Bull and we’ve recently added both a white and a red wine flight to the wine list at The Cadogan too. Tweet us your finds @theonebullbury and @cadogan_ingham #wineflight.